1 ball of buffalo mozzarella, about 8 oz. 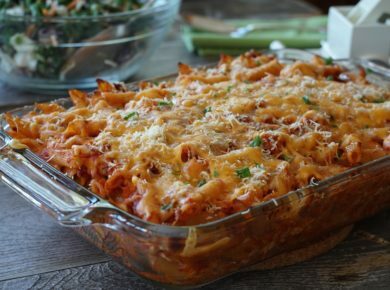 Takes 85 Minutes , serves 4. Remove the caps from the tomatoes before slicing them into ¼-inch pieces. Place the sliced tomatoes onto a dinner plate, drizzle with olive oil and a generous sprinkling of salt. Place aside for about an hour. Transfer sliced tomatoes to a side plate and reserve liquid. Slice focaccia in half lengthwise and open onto your work surface. Take reserved liquid from the tomatoes, stir lightly using a pastry brush, then brush onto the bottom half of the bread. Layer the sliced cheese, followed by the basil, then sliced tomato. Drizzle the top with a bit of oil and a sprinkling of salt. Top with the other half of the bread and cut it into four squares. 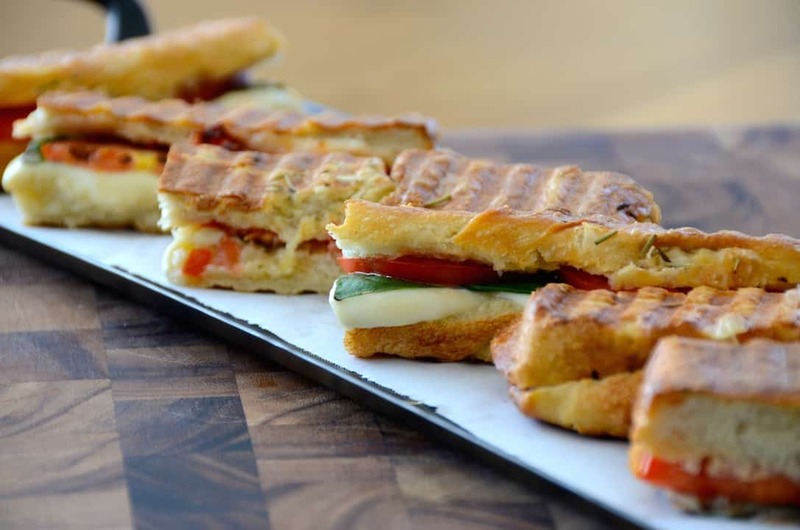 Preheat the panini maker to medium-high (350°F) and transfer sandwiches on to hot grill. Close the lid and grill for about 5 minutes, until sandwiches are warmed through and the cheese has melted. Remove from grill and cut into smaller portions if desired. Serve immediately. 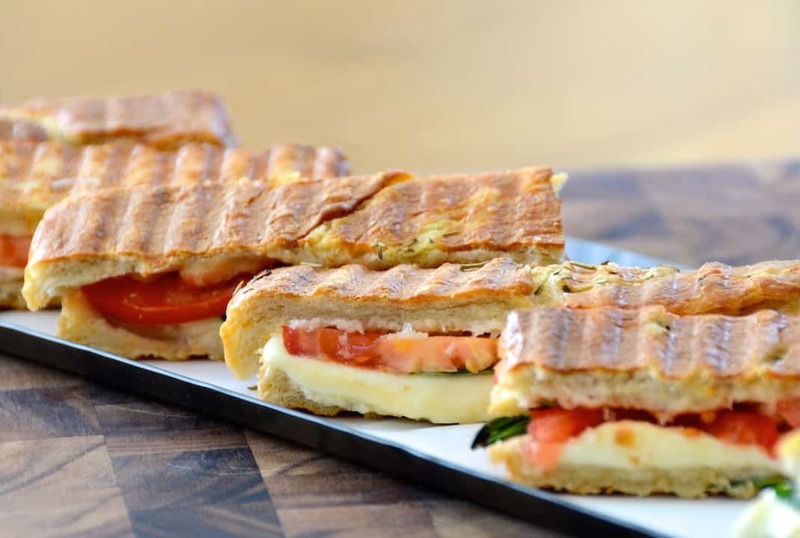 Inspired by a favourite summer salad, we take vegetarian sandwich making to a whole new level of deliciousness with this lovely GRILLED PANINI CAPRESE. We published our highly popular GRILLED PANINI SANDWICH last summer and couldn’t be happier with the response – everyone embraced our suggestion by personalizing it with their own favourite fillers before pressing it in a panini maker. 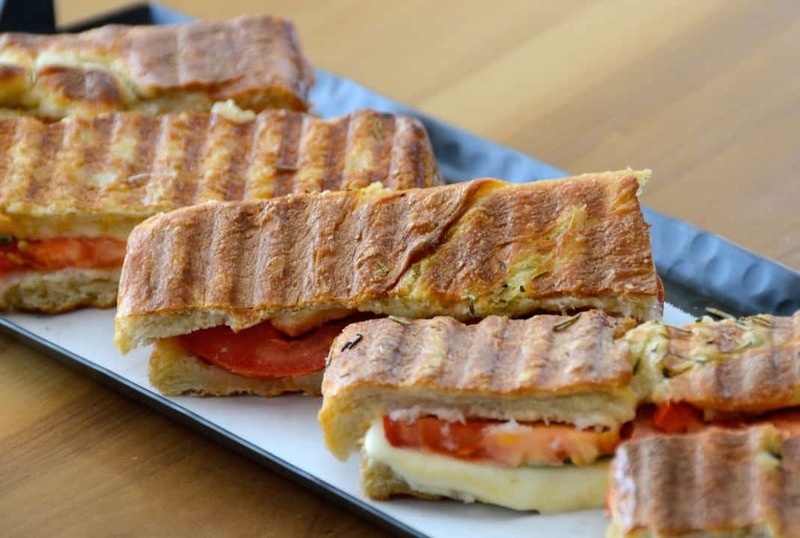 This post is similar in that we’re once again using a panini maker, but this time we’re asking that you follow the recipe to the T; we promise something delicious is in the offing. THE INSPIRATION – This recipe comes from one of my all-time favourite salads – the legendary Italian INSALATA CAPRESE. The Caprese salad is an homage to the quality ingredients produced and grown in the Campania region of Italy. A visit to Naples, the breathtakingly beautiful towns along the Amalfi Coast or the idyllic island of Capri (from which this gets its name) wouldn’t be complete without enjoying this famous salad. A Caprese salad is made by combining juicy, vine-ripened tomatoes with creamy buffalo mozzarella cheese and fragrant fresh basil, then finishing with nothing more than a superior olive oil and a generous sprinkling of salt. 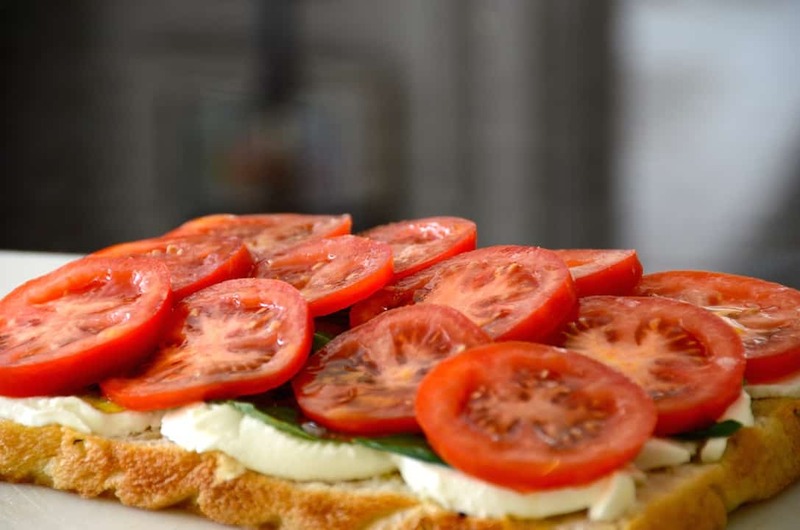 THE CONCEPT – With fond memories of this distinctive salad in mind, I thought to use the ingredients as the filler for this GRILLED PANINI CAPRESE. 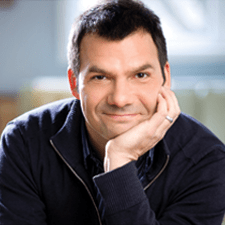 I followed one key principle – the ingredients had to be the finest available. Use perfectly ripened tomatoes at the height of the season, and track down the essential, fresh-made buffalo mozzarella. Using garden-grown basil will boost the flavour we’re after, as will a good quality olive oil. 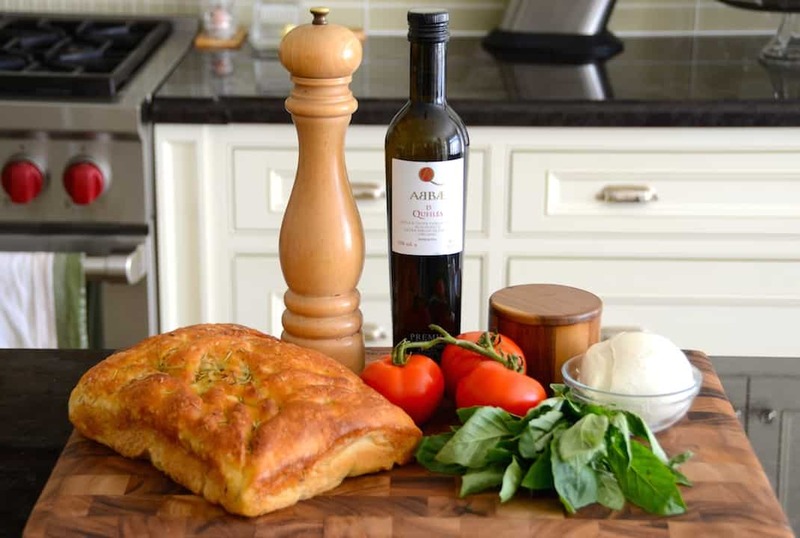 THE BREAD – I decided to keep things Italian, so to speak, by using a traditional focaccia bread. 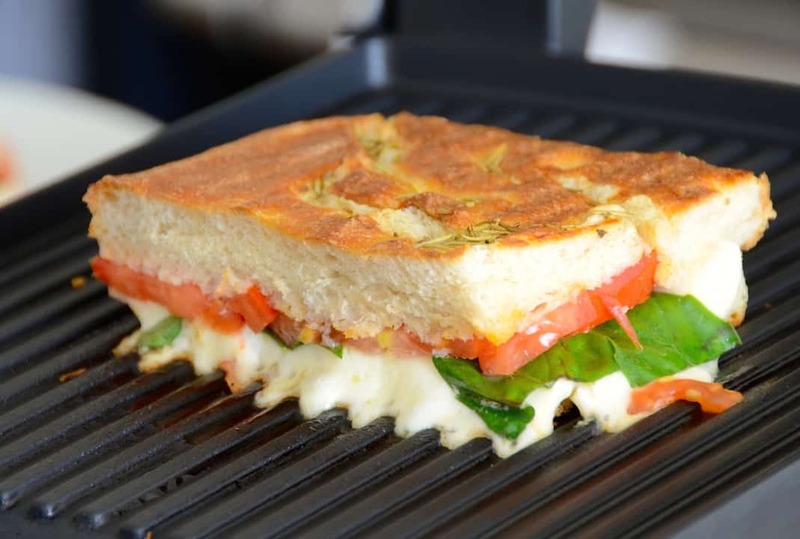 The flat profile of the bread makes it ideal for grilling in a panini maker. I also like the way focaccia is made with a sprinkling of herbs and olive oil on top. 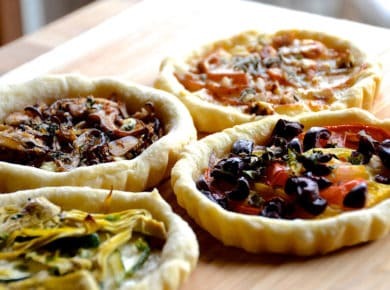 When you go to purchase focaccia, you may see it either as a square or a round loaf. I suggest purchasing the square version so you’ll be able to cut the stuffed panini into square portions, which I find easier to grill. THE PROCESS – I was lucky enough to watch the preparation of a CAPRESE SALAD while on a trip to Italy and noticed one key step that I now know is essential to the salad’s memorable flavour: slicing the tomatoes, sprinkling them with salt, then drizzling them with olive oil. It may not seem like a big deal, but when you then let them sit like this for a short period of time (about an hour or so) the tomatoes release their juices and the flavours heighten. I let the seasoned tomatoes sit to release these flavours before transferring them to a side plate, then brushed the juice, oil and salt mixture onto the inside of the bread before layering on the tomatoes, cheese and basil. This ensures the panini delivers authentic flavours. VEGETARIAN APPEAL – This sandwich should have all of the vegetarians out there jumping for joy. 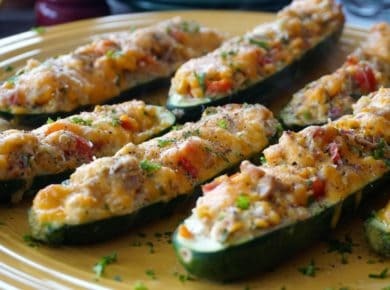 Honestly, what’s not to love about only one vegetable, one herb and one cheese brought together and warmed up in grand style? BALSAMIC VINEGAR AND PESTO – I think it important to address these two “elefante” in the room – although you may see recipes where both balsamic vinegar and/or pesto are used in a Caprese salad, my research shows this to be a modern adaptation. Feel free to add them if you wish, but I encourage you to leave them out. 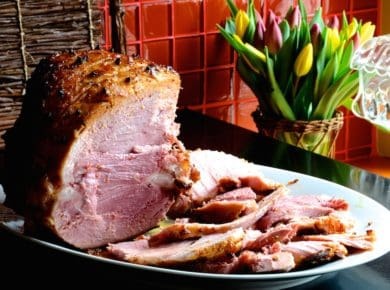 If you’re not convinced, try the recipe first without them; I think you may find the pure, unadulterated flavours of the ingredients to your liking, just as we have. 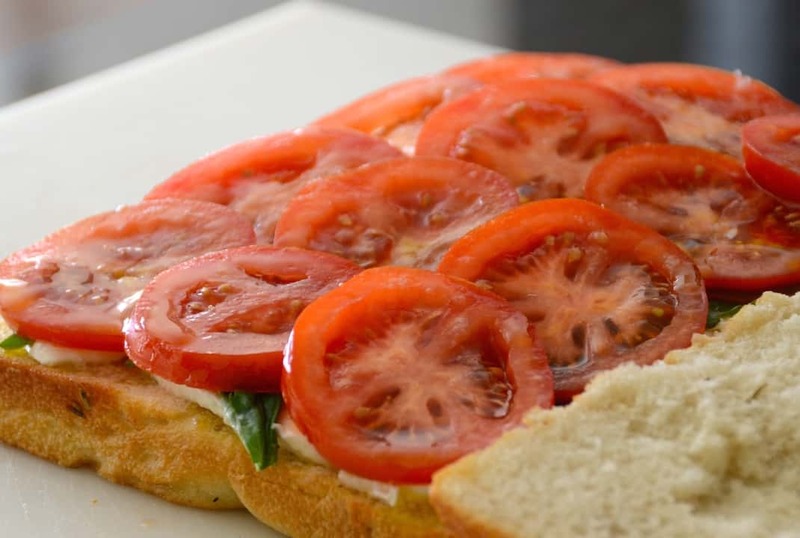 Looking for something delicious to go with our GRILLED PANINI CAPRESE? 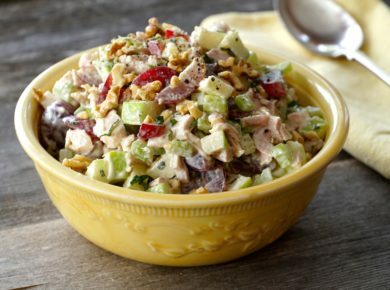 We suggest serving it with our WARM BEAN SALAD for quite the perfect pairing. 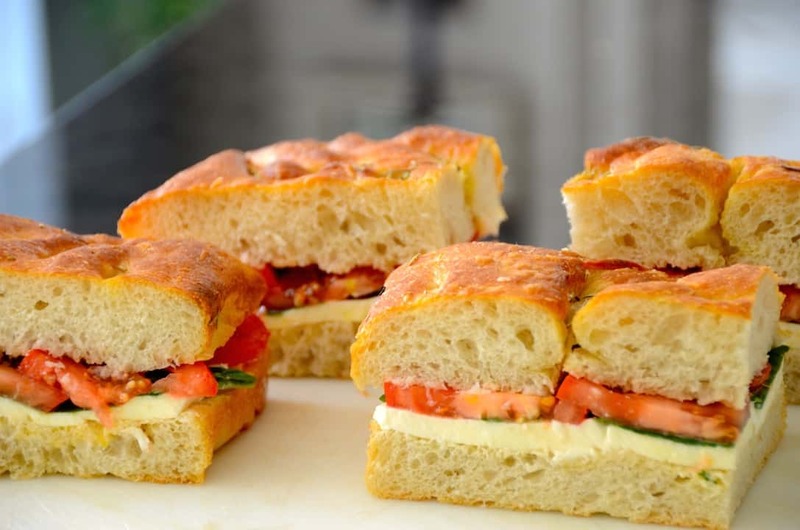 Prepare our GRILLED PANINI CAPRESE and enjoy the taste of a favourite salad in sandwich form.